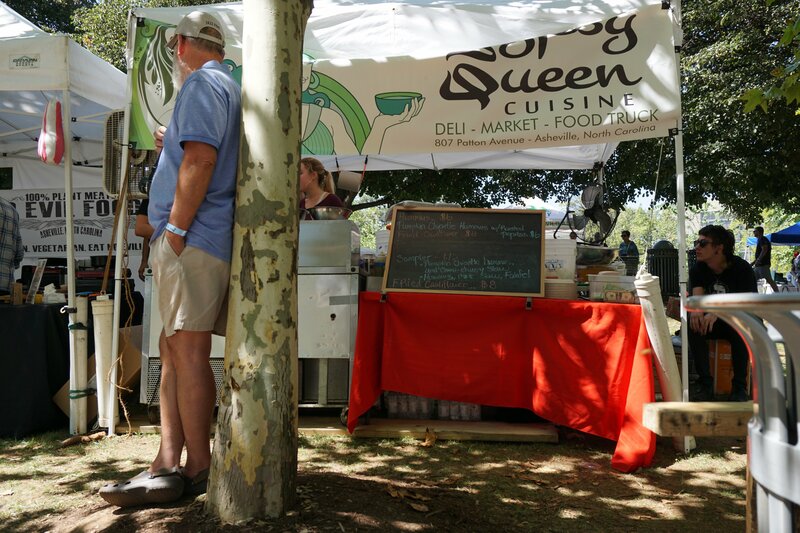 I am such a sucker for food festivals. I love being right in the middle of truckloads of street food that isn’t available anywhere else. While I strive to venture out to new food spots, the Hendersonville Apple Festival always keeps me coming back for more. Plus, I am a vegetarian so a food festival with actual vegetarian options is all the more exciting! My husband is not a vegetarian, so we love finding spots with plenty of options for both of us. We hope to eventually focus many of our travel posts on food venues with great options for vegetarians and non-vegetarians. 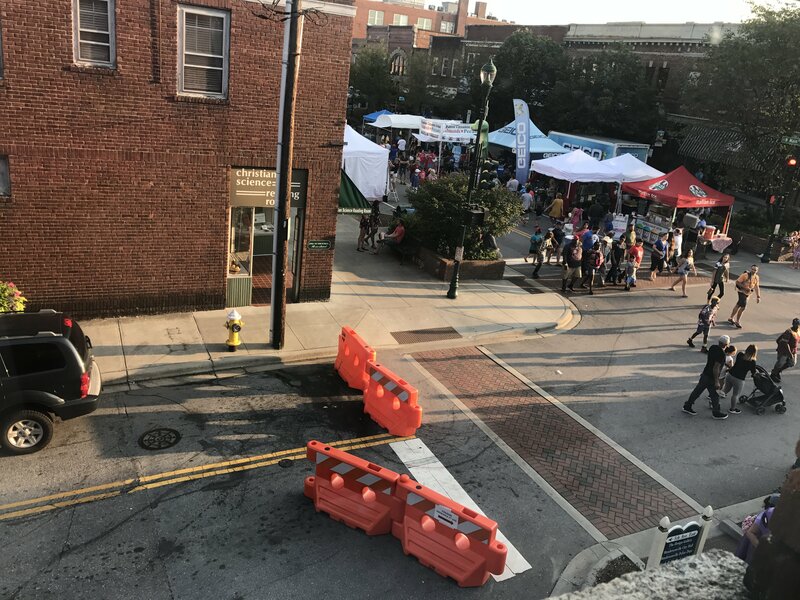 The Apple Festival happened to be on the same weekend as the Asheville, NC Vegan Festival. 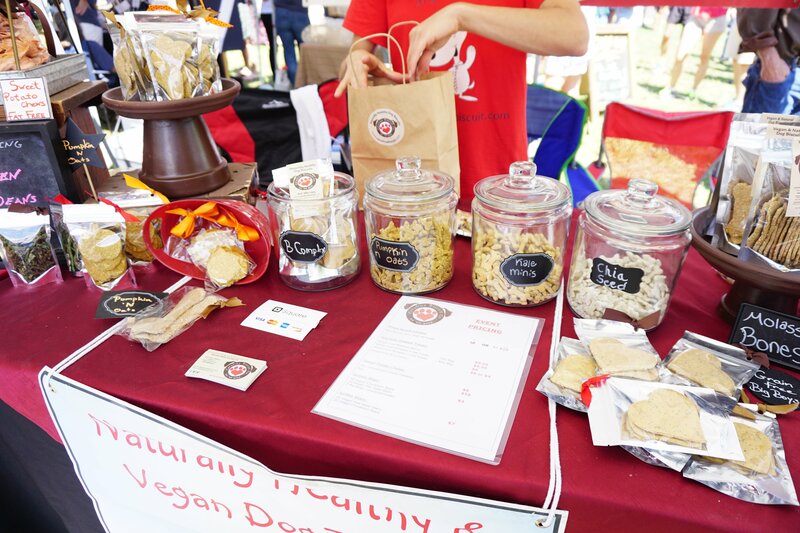 Since we had never been to the Vegan Festival, my husband and I decided to make a trip out of it and hit up both festivals and anything else local we could squeeze in. 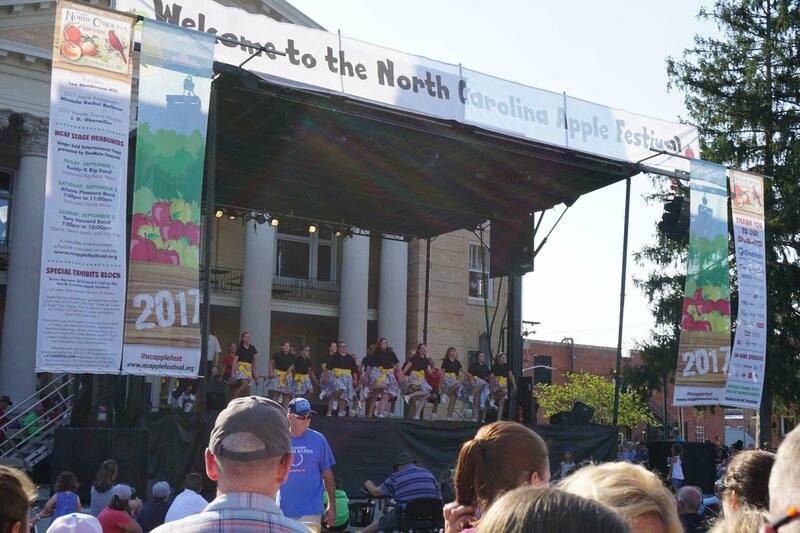 We stayed in Asheville and drove to Hendersonville for the Apple Festival since there is only a 30 minute drive between places. This worked out pretty good since we wanted to venture out in Asheville more this trip. The Vegan festival was smaller than I thought it would be, but I was just stoked to have so many veggie-friendly options in one place. While most options were for vegans, I also spotted food trucks that had meat options as well. My husband (a non-vegan) liked the vegan options better and was shocked at the tastiness of the food. The festival also had a large amount of craft beer trucks and several dessert options so there was definitely something for everyone. First of all, the service was wonderful, which was a nice touch given it was over 90 degrees outside. I chatted with two different people during the ordering process, and they were definitely some of the friendliest people working the festival. 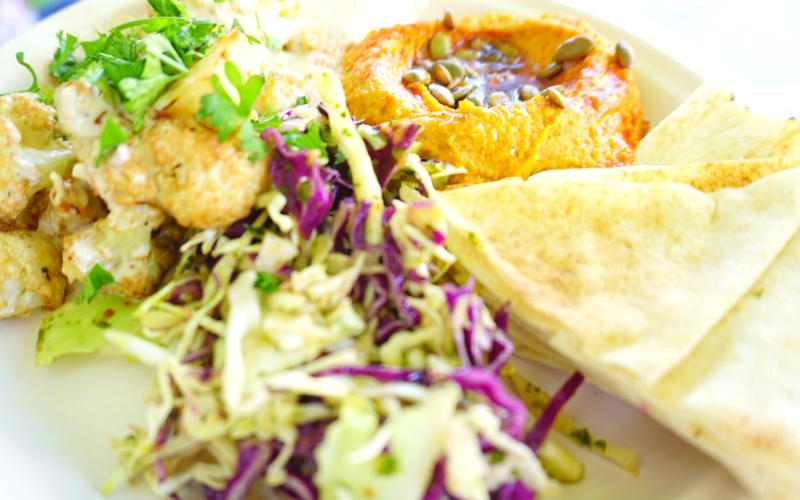 Even better, they offered a sampler plate with generous portions of Pumpkin Hummus, Fried Cauliflower and Chimi-Churry Slaw. The platter did not disappoint and if I lived in Asheville, I would have to pick up Fried Cauliflower at least once a week. The vegan garlic aioli, tahini dressing and parsley on the cauliflower was a delicious combination! Believe it or not, even pet owners could bring home plenty of vegan options for their cat or dog. Since one of my dogs has a food allergy, I was relieved to find several allergy-free treat options. Sadly, this place isn’t local to Asheville which I discovered after getting home. I’m not sure how I missed the sign but they are actually in Wake Forest, NC. If you aren’t local to Wake Forest, you can order online here. Plus, I spotted this on the site: “Send us a Tweet of your doggie enjoying a CBC biscuit & we will send you a sample of the biscuit of the month!”. I will definitely be trying this out since I have quite a few treats from the festival! I just love finding vegan baked goods because quite honestly, I am TOO LAZY to prepare vegan desserts. I am also not great at cooking. Even though I am a vegetarian, I love eating vegan baked goods whenever possible. My favorite find was the Chocolate Chip Cookie Sandwich stuffed with icing…yum! 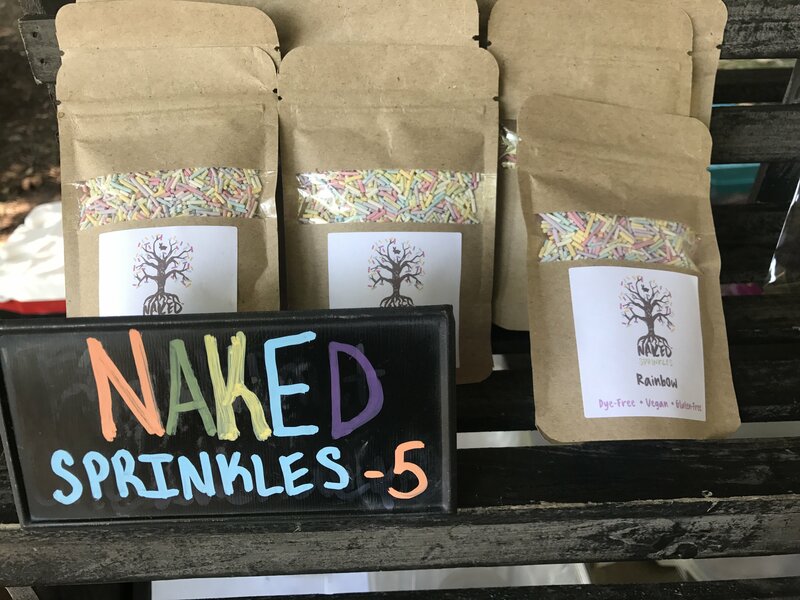 They also have these Vegan sprinkles which can be ordered online. They are cute rainbow sprinkles with no dyes, which is hard to find! –Don’t bring your dog: Dogs are sadly not allowed. 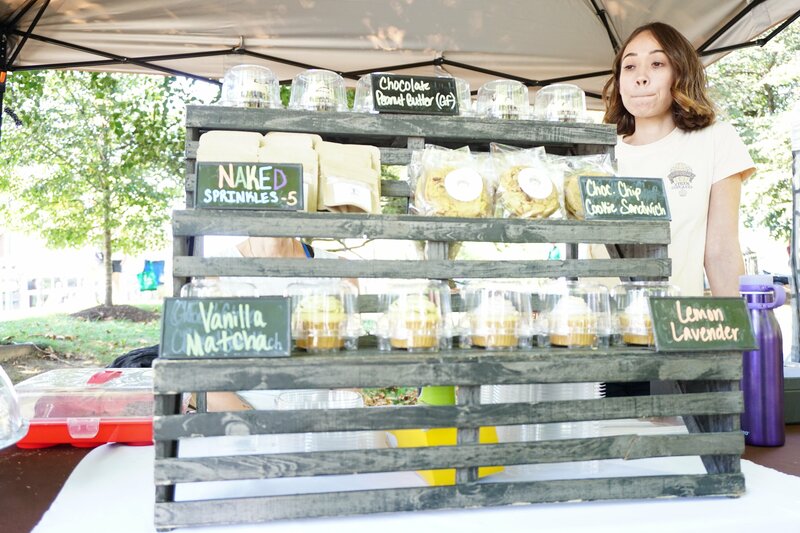 However, you can shop for treats at the festival (see above). 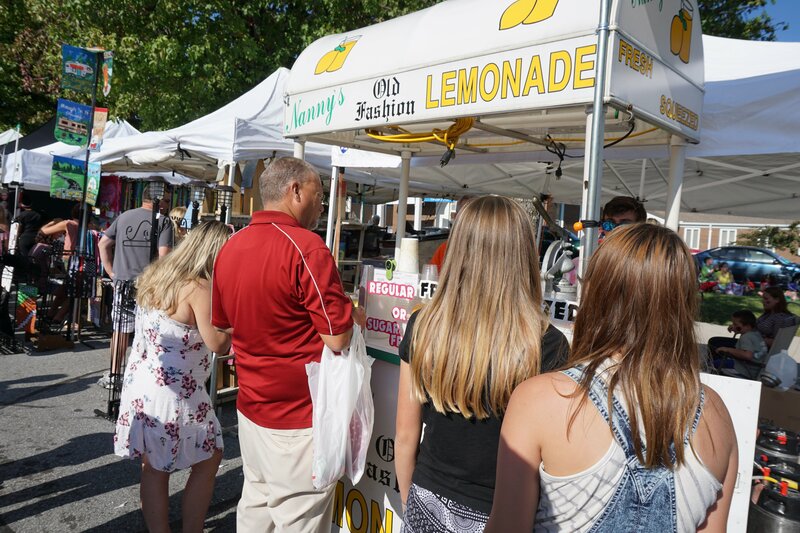 -Go at the end of the festival for less crowds and slashed prices: We were able to snag a few deals on heavier items that vendors did not want to lug back. -Bring an insulated cooler bag: I missed out on a few items I wanted to buy because I forgot to carry a cooler. I sampled delicious frozen meatless foods but they would have completely de-thawed by the time we got back to the hotel. 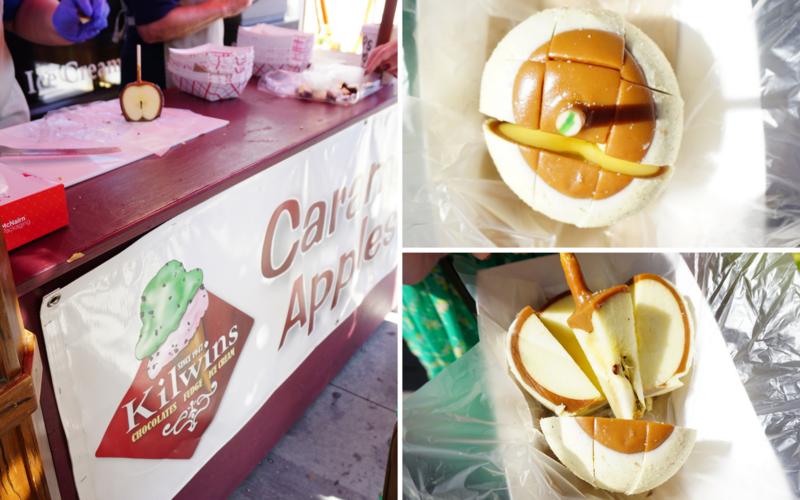 My mouth is still watering for these Apple Pie Caramel Apples! Luckily, I found the Kilwins home store in Asheville (see under “Asheville NC Food Highlights” below) so I know where to go to stock up. They even slice up the apples for you and put them in a paper basket so you can walk around with your candy apple mess-free. 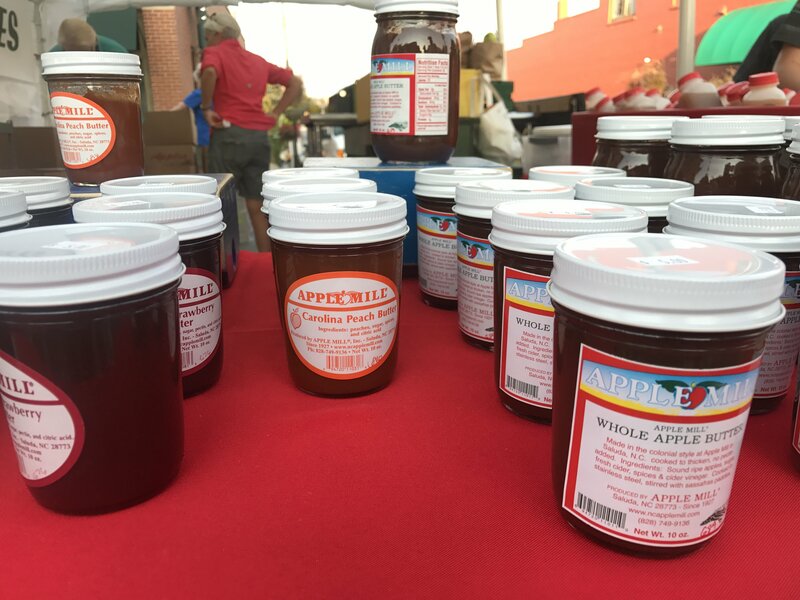 Apple and other fruit butters can be found throughout the festival. They are all probably equally delicious, so I recommend the stand with the shortest line! 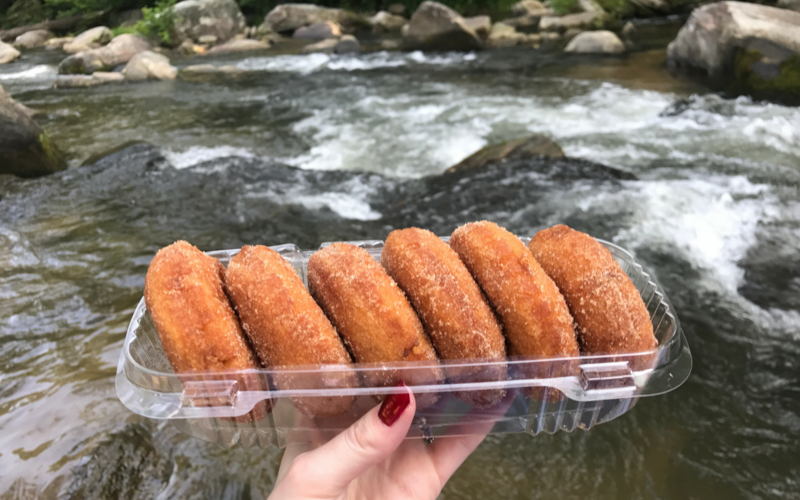 Apple Cider Donuts: Stock up on donuts before they all sell out! There were plenty when I took this picture but all booths were completely sold out by the time I went back to buy some. 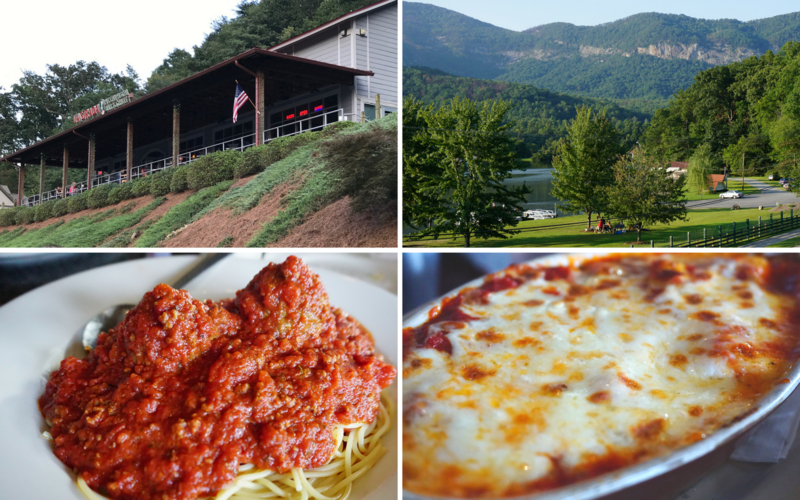 If you miss out, see the tips under “Hendersonville NC Food Highlights” below to find out where you can find them. Get one of each! They are both delicious and hand squeezed on the spot, southern style (= LOADS of sugar). …and much more! 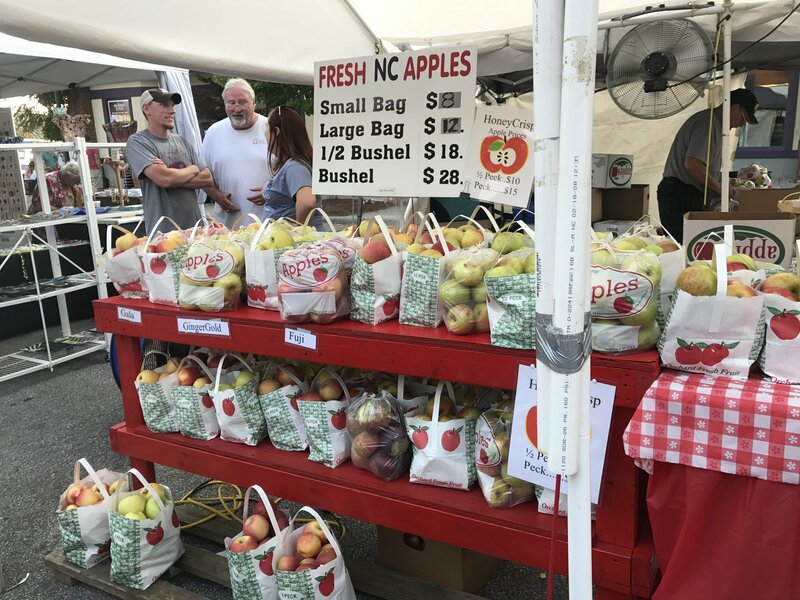 See my full post on the Hendersonville, NC Apple Festival here for LOTS more food finds and tips. Wow…just wow! 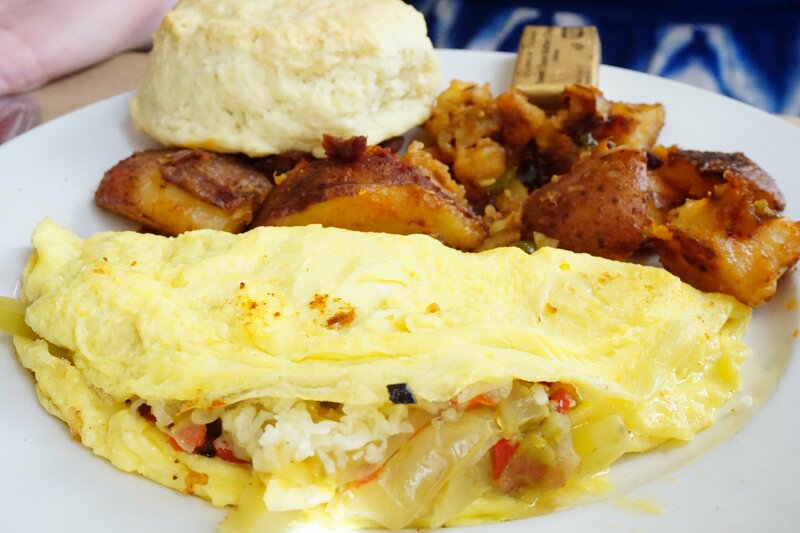 This restaurant is a must for tasty farm to table breakfast food. 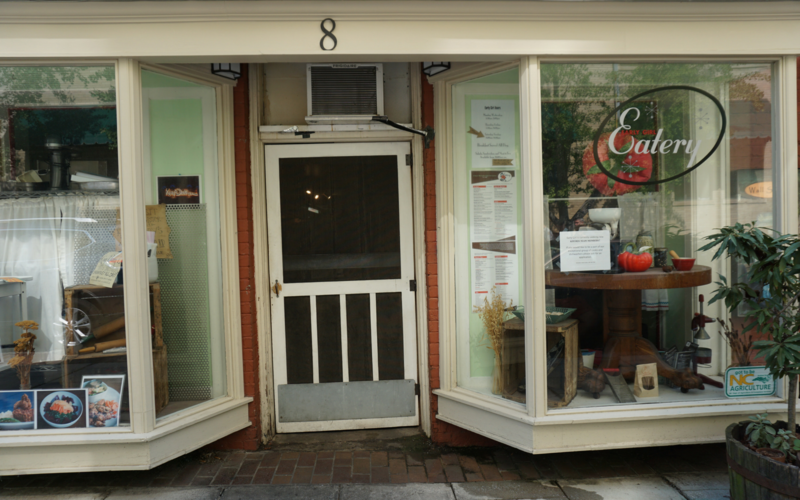 Every ingredient shows off fresh flavors from locally sourced, high-quality ingredients. The service was fantastic and very quick. There is a nice selection of menu items in addition to a large list of daily specials. I opted for an omelet special with fried green tomatoes after falling in love with the Fried Green Tomato appetizer. Be prepared for a large crowd around the door and a likely 45 minute wait estimate. The hostess suggested walking around the nearby shops for about 30 minutes and then checking back. However, we only went in one shop and came back to only a 5 minute wait. Several other people got in sooner by standing close by so you might want to hang around. I wish I had been able to try many other items on the Early Girl Eatery menu, but I was more than stuffed after the appetizer and breakfast. 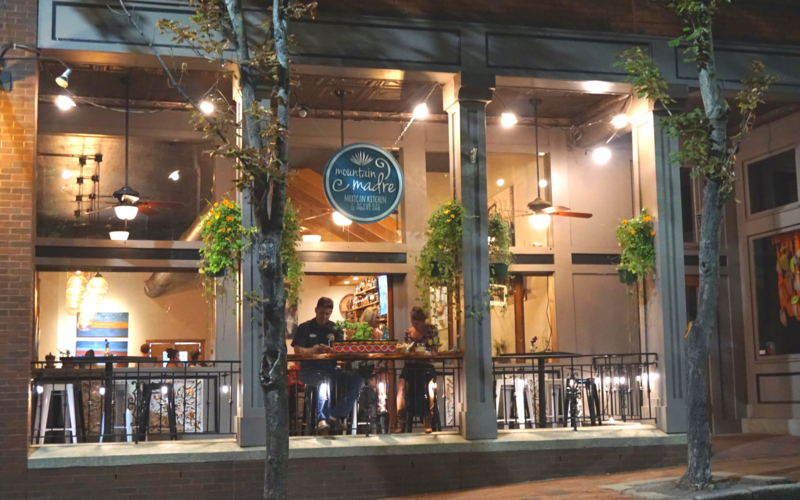 I will definitely be making another trip to Early Girl the next time we head to Asheville! On the way to a different restaurant, I stopped in my tracks at the charming open-air porch to this restaurant and had to go in. I had originally planned to order an appetizer and a drink before moving on to the original restaurant until I saw the menu. 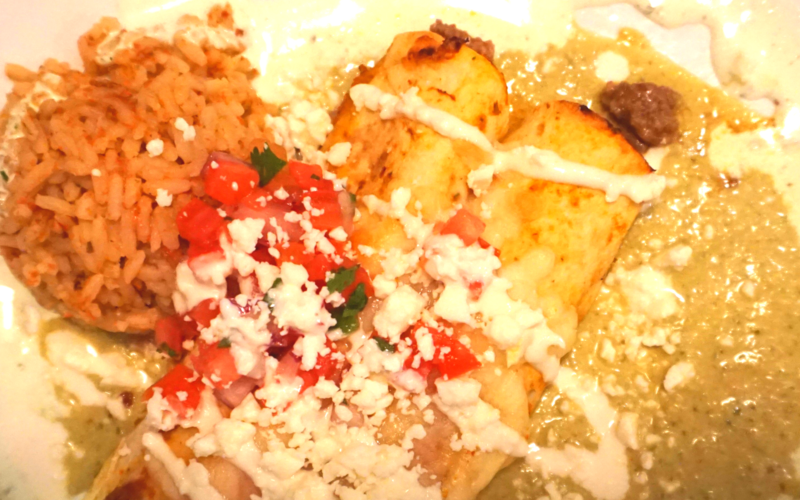 Filled with exciting vegetarian options and unique appetizers, I picked the Vegan Chicken Enchiladas and my husband got the Beef Enchiladas. Even better, we ordered two of the freshest Margaritas I’ve ever tasted. This is probably because they craft cocktails with their own house made syrup, use fresh squeezed juice plus 100% Agave Tequila. YUM! Definitely a refreshing drink change for Asheville for someone who cannot drink craft beer (thanks, migraines!). 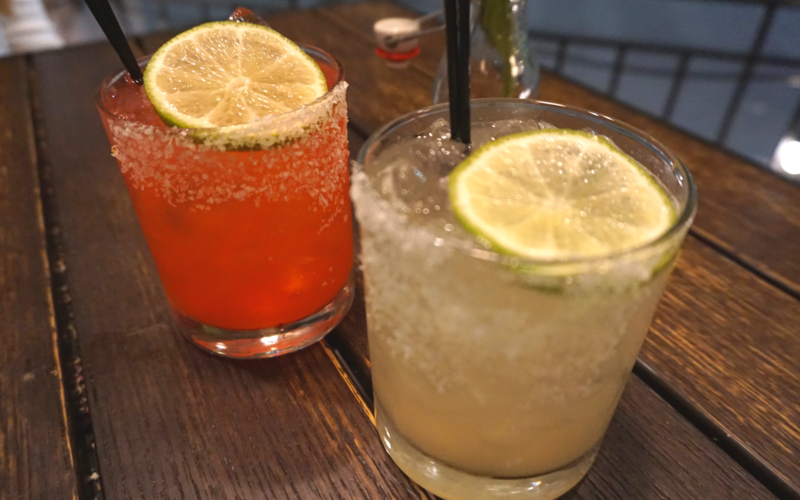 We both loved the food and drinks and really wanted to stop by the next day to try the Mexican Street Corn but we ran out of time. We will certainly will be back! I was greeted by the sweetest person who happily offered up samples of fudge. 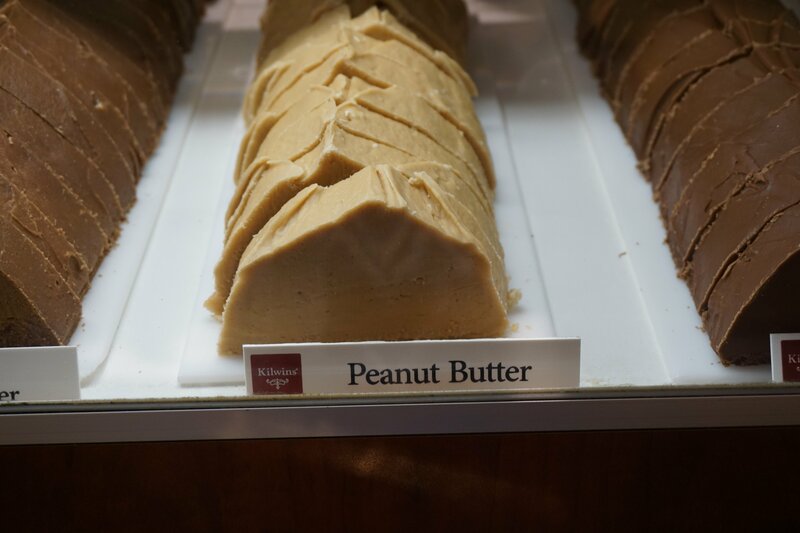 I sampled a Peanut Butter fudge that was so good I had to get some! 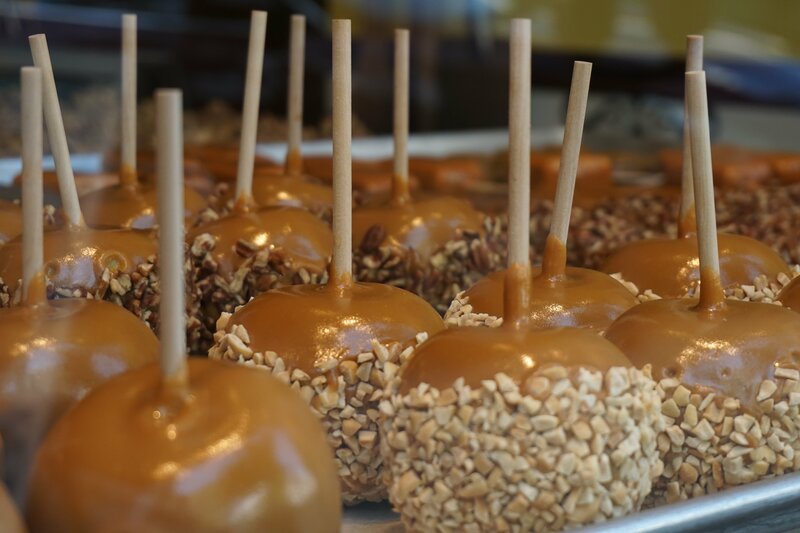 They also have delicious candy apples, which are the same tasty treats I mentioned from the Apple Festival. Nearly everything in the store is made fresh and the fudge travels fantastically in the heat. I’m not sure what their secret is but somehow the fudge can withstand up to 200 degrees in the heat before melting. I did not test this theory, however the temperature was nearly 100 degrees in the car so I am convinced it is great traveling fudge! The Chocolate Fetish is one of those places that send your jaw straight to the floor when you walk in. Just inside the door, the wall is filled with edible chocolate art in the form of shoes, seashells and more. As you head to the back of the store, display cases are filled with artisan chocolate smash cakes and “champagne” bottles that are basically chocolate pinatas. 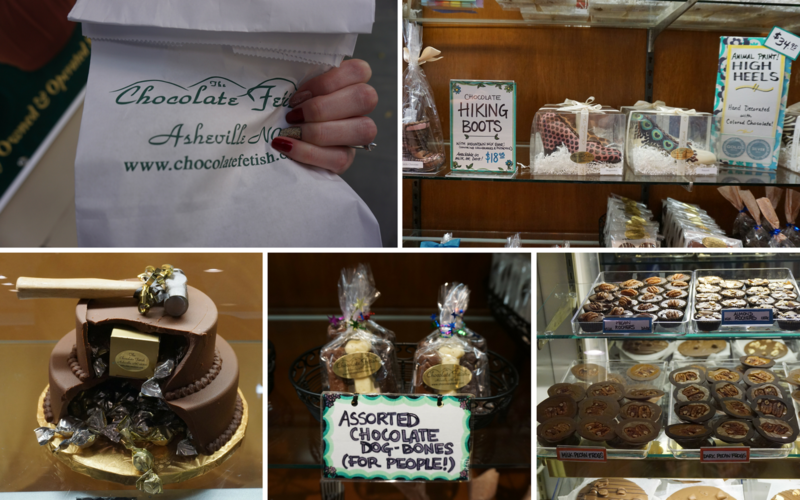 The other side of the store shows off endless chocolate delectables available for purchase. 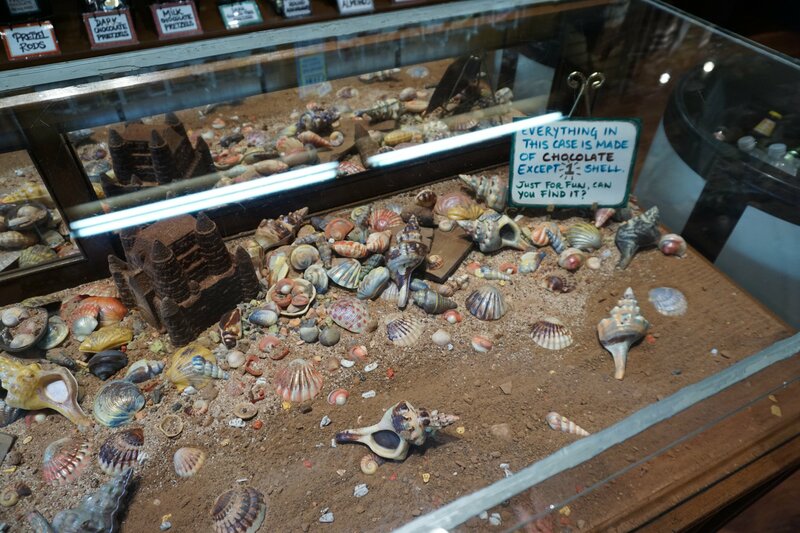 Last but not least, the middle of the store contains a display case filled with colorful seashells – all chocolate except for one. Customers can try to guess which of the shells is not chocolate (I got it wrong). So much fun! For the second year in a row, we made a stop at Renzo’s on our trip to Hendersonville. 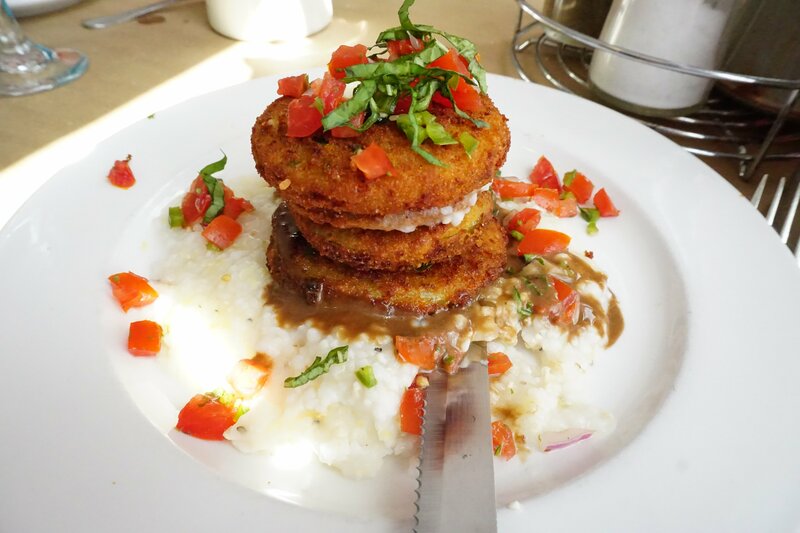 If you like Italian food, you will love Renzo’s! 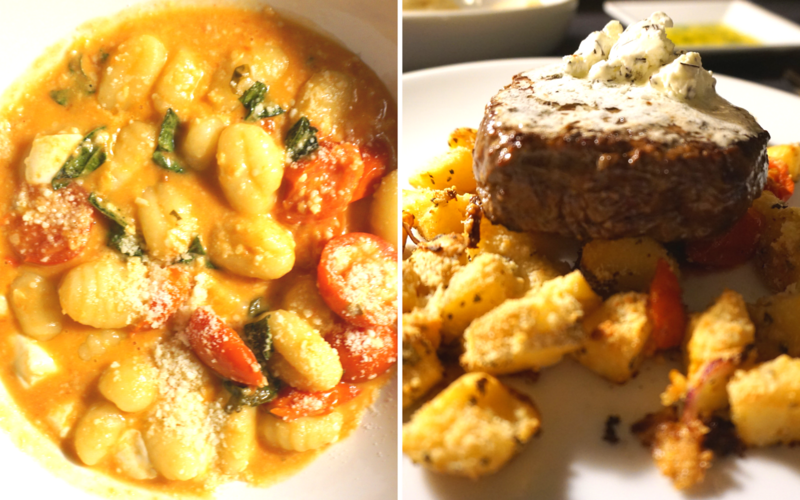 I ordered the Gnocchi both times I loved it so much. My husband has ordered lasagna and steak and enjoyed both! The Apple Festival was so hot when we went this year so it was nice to get out of the heat and have a meal away from the crowds. 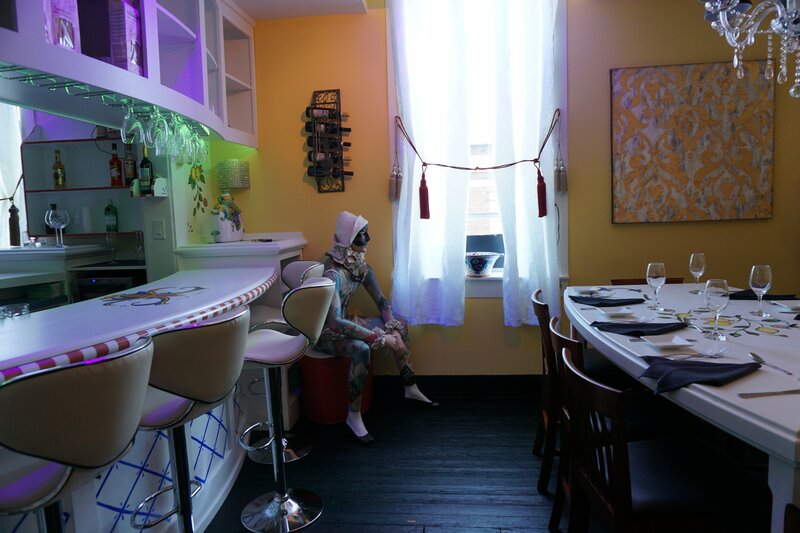 This time, we were seated upstairs which turned out to be a real treat. The first hallway is a row of tables for two with dimmed lighting for a romantic setting. 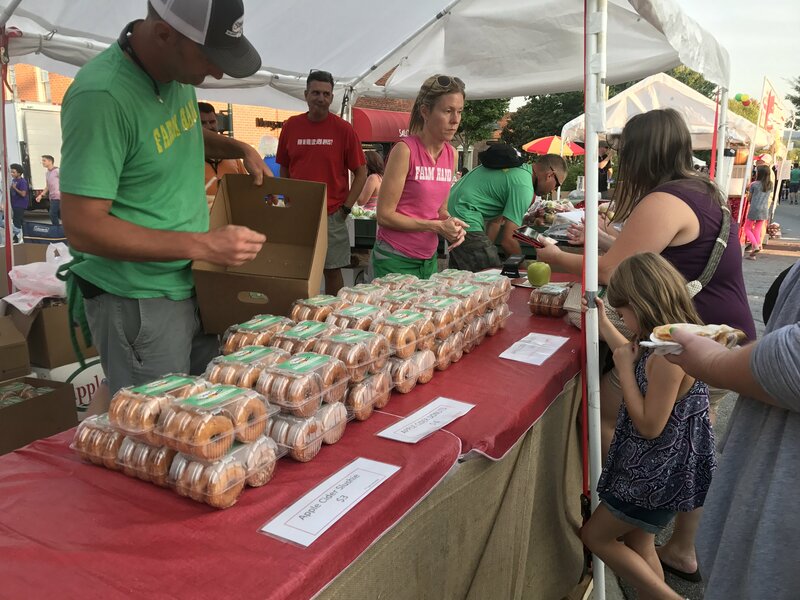 I really was set on getting some Apple Cider Donuts at the Apple Festival but they sold out! Luckily, we passed an apple orchard driving through Hendersonville. Not only did they have plenty of Apple Cider Donuts (phew! ), but they were HOT donuts too! 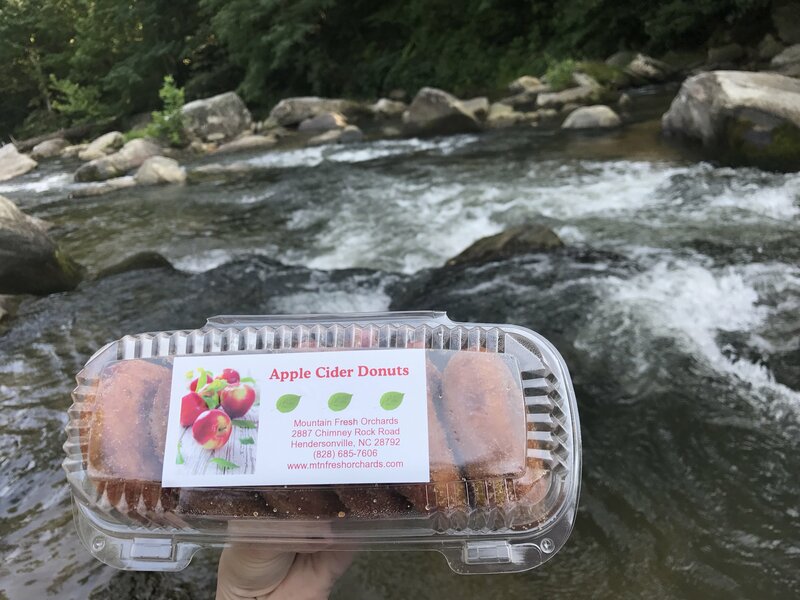 So we took them to Chimney Rock Park with us and had donuts with a view. They were delicious! I also spotted unique ciders, apples (of course), a huge variety of apple butters and jams, plus tons more. I’m definitely glad we made the stop! In case you can’t tell, we really love Italian food 😀 And places that have a nice view. La Strada checks both of those off the list and we had impeccable service. We recommend the spaghetti!